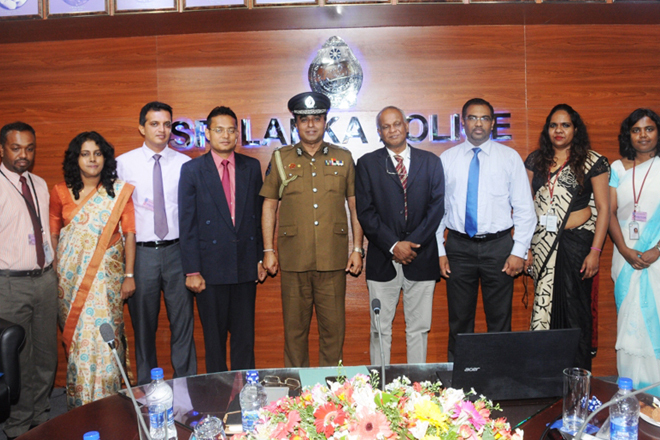 May 03, 2017 (LBO) – Sri Lanka’s Police has launched an ePolice certificate system with the help of ICTA for the issuance of Police Clearance Certificates online. These certificates are a requirement for anyone intending to migrate or apply for work permits. The clearance branch currently receives about 150 applications per day from locals and nearly 300 weekly from Sri Lankans living abroad. People can now submit their applications online irrespective of whether they live in Sri Lanka or abroad while paying the administration fee online using either their credit cards or mobile phone. Citizens can also check the current status of the submitted applications online as well. The internal systems within the clearance branch have now been fully automated including application processing, monitoring and tracking in order to ensure efficiency and enhanced security. Communication between 477 police stations located across the country and other agencies has also been automated with no more lags during sharing of information. With the automation process the processing time has been brought down to 4-5 working days from 15 working days. The system is also capable of further enhancement to provide digital certificates to the applicants. The PCC online service is available via Sri Lanka Police Official website and Sri Lanka Government official web portal.